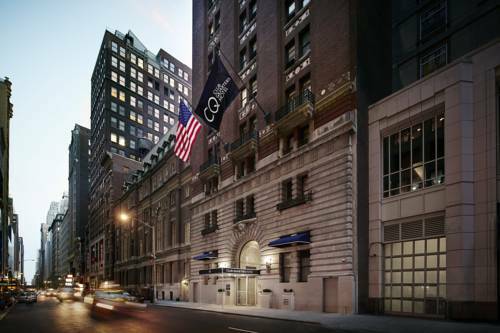 Club Quarters Hotel Midtown is located off 5th Avenue and centrally located amidst Rockefeller Center - Times Square - theater district and Grand Central Station. Easily accessible to any part of the city via subway bus and taxi. Seamless - Order food direct to your room from local restaurants and charge it to your hotel folio. Please refer to the red Dining and Information book in your guest room for all ordering instructions. Midpoint Bistro and Bar offers regional American cuisine. Breakfast and lunch served in the dining room from 7am to 3pm. Cold dinner options served from 3pm to 10pm.Bar is open from 5pm to 10pm.